If you love cycling so much that any other kind of transportataion where you don't have to pedal seems dumb to you, you're in luck. 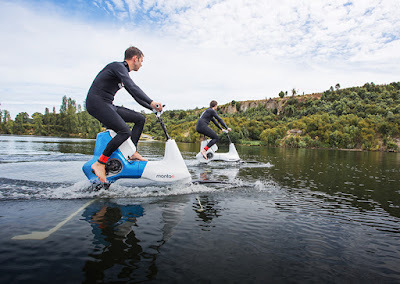 Now you can master the ocean waves on your bike - your hydrofoil bike, that is. The Manta5 is essentially an e-bike that works on water, using hydrofoil technology and power-assisted human energy. 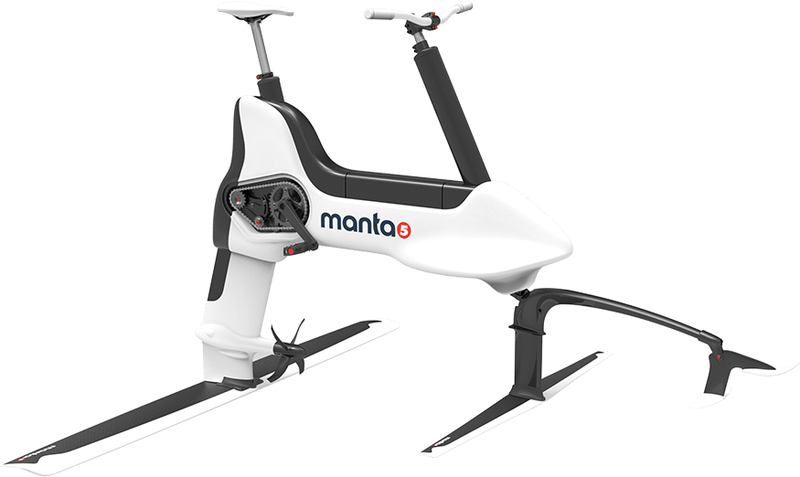 Designed to work on the sea, lakes and rivers, the Manta5 will happily glide along the water, keeping the rider above the surface. You still have to pedal, but because it works like an e-bike, the 400w motor kicks in to augment the power. So going for a quiet afternoon bike ride might mean something else in the future, if you live by the water, that is. Although the Manta5 doesn't look as exciting as this electric hydrofoil surfboard, at least it does look comfortable and relaxing.